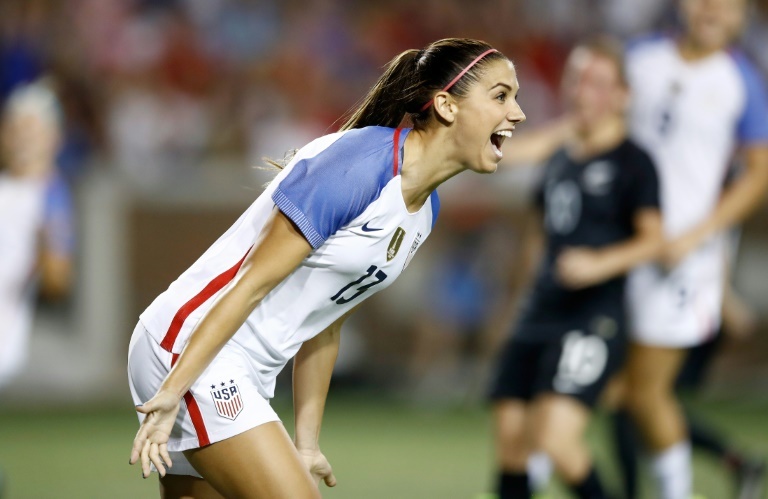 Alex Morgan scored twice and the U.S. women's national team concluded a two-game series against New Zealand with a 5-0 victory at Nippert Stadium on Tuesday night. The Americans improved to 9-3-0 this year. There are four more games left on the team's 2017 schedule. The U.S. defeated the Ferns 3-1 in the first game last Friday night in Commerce City, Colorado. Julie Ertz led the way with two goals. Lindsey Horan got the Americans off to a nice start in the rematch, scoring on a header in the 36th minute after coming in for Rose Lavelle. Mallory Pugh made it 2-0 in the 44th minute. Pugh also finished with two assists. Lavelle, who is from Cincinnati, played the shortened shift for the hometown crowd as she continues to come back from injury. Morgan scored her first goal within the first minute of the second half. Lynne Williams added her third career national team goal before Morgan struck again in the 69th minute. It was her 77th international goal. The U.S. also got midfielder Tobin Heath back from a back injury. She came in as a late sub for her first action with the national team since March.